Early returns from yesterday’s local government elections showed that the All Progressives Congress (APC) was having an easy ride in all parts of the state. An early morning downpour and voter’s apathy yesterday had hampered the commencement of the election at 8am as proposed in the 20 local governments and 37 Local Council Developments Areas (LCDAs). It was an anti climax to months of painstaking preparation by the Justice Ayotunde Phillips (retired)-led State Independent Electoral Commission (LASIEC). The rain and the attendant flood in parts of the state prevented electoral officials from reaching their duty posts on time. Thus, accreditation and voting which were supposed to commence at 8am began much beyond the scheduled time and only when the rain subsided. Besides, many registered voters chose to stay indoors. Only a few bothered to go out and vote except in areas where opposition parties tried to have a foothold. They include Mushin, Odi-Olowo/Ojuwoye, Ajeromi-Ifelodun, Ojo, Coker Aguda, Itire-Ikate, Agboyi-Ketu, and some parts of Ikorodu. Youths turned the roads to temporary football ‘pitches’. Some party officials attributed the low turnout to inadequate electoral awareness by the LASIEC. But Justice Philips dismissed any such suggestion, saying adequate publicity was carried out. She admitted that these was delay in the commencement of the elections in some areas, which said was caused by rain. She told reporters at Old Yaba Road while monitoring some polling units the area that the rain affected the movement of electoral materials. She said all eligible voters would be allowed to exercise their right as there were enough materials. “We are addressing the situation and we are assuring that everybody in the affected areas will vote once people have been accredited and are on the queue, they will be allowed to vote even after 3pm,” she said. She expressed satisfaction with the peaceful conduct in most areas. Phillips said there were a few cases of violence but said security agents had quelled the situation. Lagos State Peoples Democratic Party (PDP) chieftain Segun Adewale blamed LASIEC for ‘disappointing’ Lagosians. He said the late arrival of voting materials discouraged some people from voting after waiting for hours at the polling station for voting materials to come. He also accused supporters of the ruling APC of harassing people. “People were harassed by members of the ruling APC, my own sister was beaten up and people could not vote before the end of the exercise,” he claimed. Kebbi State House of Assembly Deputy Speaker Buhari Ailero, who led Election Observers from other states, hailed the peaceful conduct of the poll. Ailero confirmed that the election materials were distributed on time to the polling units. He urged political parties to do more in mobilizing voters in subsequent elections. 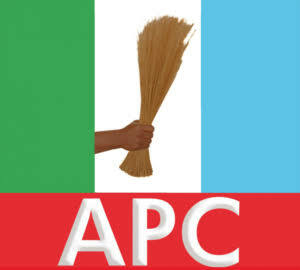 Twelve parties – Accord Party (AP); Action Alliance (AA); Alliance for Democracy ( AD ); All Progressives Congress ( APC ); Peoples Democratic Party ( PDP ); Labour Party ( LP ); All Progressives Grand Alliance ( APGA ); United Democratic Party (UDP); United Progressive Party (UPP); Kowa Party ( KP ); National Action Council ( NAC ); and Peoples Democratic Movement (PDM).